In our society, life moves quickly, so the Internet has become an essential part of our day-to-day. When you think of the Internet, many things may come to mind and Facebook is probably one of them. Digging up the roots of Facebook’s origins and following them to what the social media giant has evolved into today is quite astonishing. Facebook’s founder Mark Zuckerberg launches “The Facebook,” limited to Harvard students at the time until two short years later, when the site began accepting anyone 13 years or older with a valid email address. When your mom or dad calls it “The Facebook,” you’re not allowed to laugh at them anymore. May 18th, 2012 was Facebook’s first day on the Nasdaq stock market with shares starting at $38.23. On June 11th, 2018, Facebook opened up at $188.8 per share. Needless to say, there’s been some growth. As of the first quarter of 2018, Facebook had 2.19 billion monthly active users. To give you some perspective, there are around 7.6 billion people in the world today. So how is Facebook still so relevant after all of this time? In a world filled with trends that die almost as fast as they were created, Facebook has managed to stick around with growing authority. Besides Facebook for personal use, the business side of things on Facebook is flourishing tremendously. If you own a small- to medium-sized business, it’s crucial to have an online presence. You could compare having a Facebook page today to having your company listed in the yellow pages of a phonebook years ago. Producing valuable brand awareness with Facebook has become a priority for all business types. Facebook has figured out how to allow businesses to effectively advertise and appear in front of thousands of relevant people. With over a decade of information and billions of users worldwide, Facebook has been able to create arguably the most customizable and efficient advertising platform available. Facebook allows you to choose the people you want to reach and when you want to reach them. With detailed interest and demographic targeting, you can get extremely specific with regards to who is seeing your ads. All of the information Facebook has gathered over the years allows businesses to make the most efficient use of their ad dollars by creating a customizable targeting interface the incorporates that data. Businesses can advertise very specifically, very broadly, and anywhere in between. A home-improvement store in Portland, for example, can target an audience of homeowners who live within 25 miles of their business, whose interests include “home renovation,” between the ages of 35 and 62. With dozens of campaign goals to choose from, there is an ad form that fits almost any marketing need. Custom targeting is one of many benefits for running ads on Facebook. In a time when organic posts are becoming less and less valuable, businesses are beginning to realize that investing money into their Facebook presence is a wise decision. Facebook has spent years perfecting its algorithm and gathering useful data, creating a golden opportunity for businesses to reach their target audience! To learn how our team at NEXT! 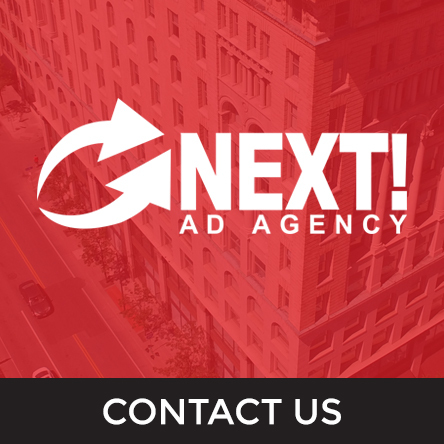 Ad Agency can help you with your Facebook Advertising needs, follow this link. Comment below with any questions or thoughts on Facebook’s journey and Facebook advertising!